This promo is about to drop big in Hawaii! 76-cent Plate Lunch Deal from L&L Drive-Inn! 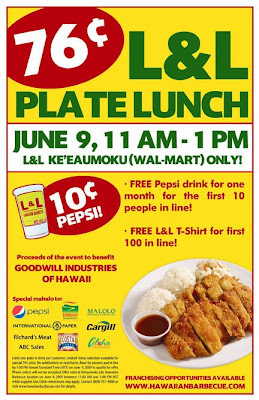 We at Qmania love spreading the word on great deals from L&L. See more deals from L&L on Qmania here. If you're a business owner, learn more about what and how we do here. See all our greatest deals now.